Publisher: Seriously Digital Entertainment Ltd. Speaking of monsters, perhaps people will associate ugly figures with evil spirits who want to harm others. This is also understandable because in movies, comic books or games, monsters always play villains worth condemning. Therefore, monsters have long been an obsession for everyone, causing a lot of aversions. However, not all monsters are as bad as we normally are, they are also living creatures and do not intend to harm anyone. 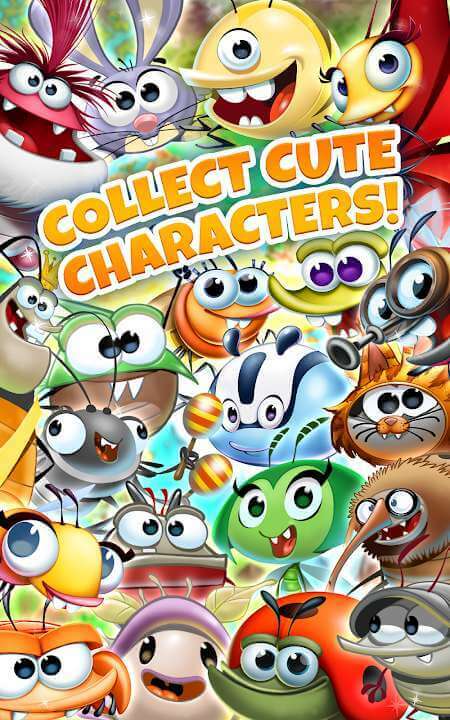 Today, we will be familiar with them through the game Best Fiends. Although in this game they have no beautiful appearance they are cute and fun! 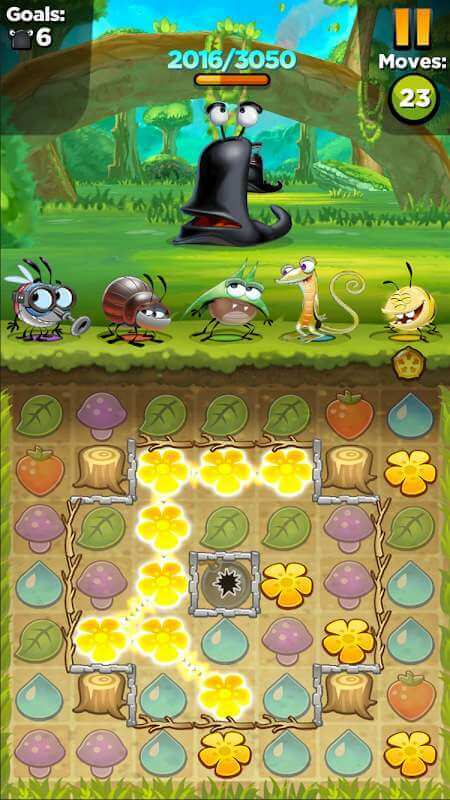 The story of Best Fiends – Free Puzzle Game takes place in a Minutia kingdom. There are small and cute monsters. Their life is going very quiet and peaceful but then on a fateful night, a mysterious meteorite falls from the sky, crashed into Mount Boom. Meteors contain a strange type of poison, which made the snail gentle mutation into the monster of horror. They eat trees and destroy the peaceful life here. The Best Fiends decided to go out to investigate the truth about the meteorite and stop the snails from doing bad things. 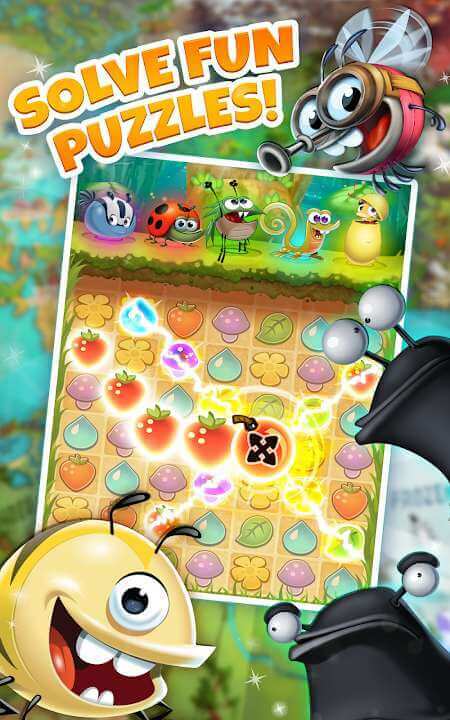 Best Fiends is a unique puzzle game where you have to collect the best monsters to destroy the evil snail. On the gameplay mechanism, there will be a snail monster, tiny monsters, and a table containing the little monsters’ favorite food. It can be leaves, carrots, mushrooms, wood, or flowers. Players must match at least 3 foods of the same type in a row or row to allow their monsters to perform the snail attacks. The snail has a certain amount of HP, you will win when you kill the snail. At first glance, gameplay is pretty easy, but when you experience it, you’ll realize you have to face a lot of challenges. In your gameplay, you are only attacked for certain turns, and the snail will also roll the grenades into the table on the screen to stop you from attacking them. Therefore, you need to calculate carefully in each turn if you want to win. The game has over 2000 levels of difficulty leveling up, and with daily events, you can enjoy the game without worrying about it. 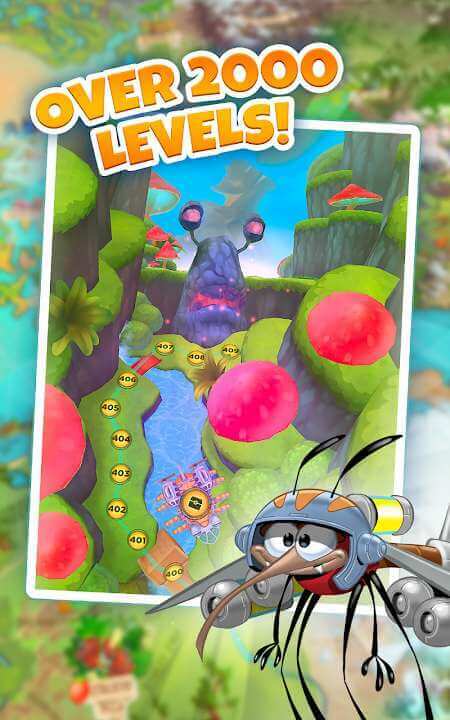 Best Fiends is a unique puzzle game that you should not miss. New gameplay, compelling storyline and fun graphics are the hallmarks of this game and are completely different from those of the same genre. Moreover, the game is very low capacity, it’s free on both IOS and Android platforms, so hesitate not to download this game for your mobile right?